Bremen (renewablepress) - Eagerly, the wind energy industry looks towards Poland. After around three years of standstill, the Polish government encourages the development of wind energy again by initiating new tenders. The results have just been published. With these new upcoming projects, the Polish wind energy could develop into a gigawatt market within the next couple of years. The wpd windmanager GmbH & Co. KG also intensifies business in the neighboring country: As of December 1, 2018, the Bremen-based company takes over the operational management for the wind farm Radzyn of the Green Bear Corporation Poland Sp. z o.o. 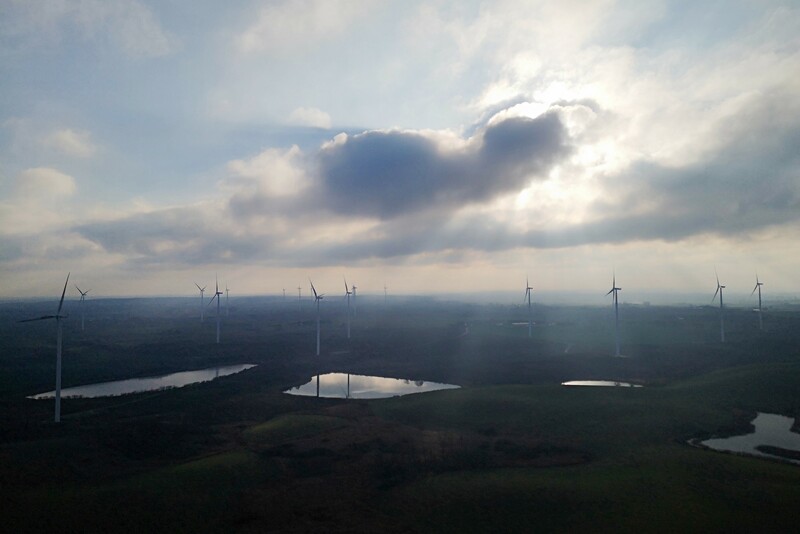 Located around 200 kilometers northwest of Warsaw in the Kuyavian-Pomeranian voivodship, the wind farm consists of 12 Vestas V112 turbines and has a total capacity of 36 megawatts. These will be supervised by the Polish wpd windmanager location in Poznan. “Through the cooperation with Green Bear we can further expand our Polish portfolio”, says Till Schorer, Direktor Sales at wpd windmanager. „And this, at a strategically favorable moment, where there is new movement in the Polish wind energy market.” In January of this year, wpd windmanager already concluded an agency agreement for the wind farm Kisielice. With over 40 wind turbines the operating manager is now responsible for a total capacity of around 95 MW in Poland. The market leader for commercial and technical operations of wind farms, wpd windmanager GmbH & Co. KG, situated in Bremen/Germany, employs about 370 people and takes care of 355 wind farms at home and abroad with 1,965 wind turbine generators and a combined output of 4,053 Megawatt. Due to the modular structure, clients are able to compile their individual wind farm management – from the control room with 24/7 service, the technical controlling with field service on site through contract, insurance or quality management up to IT or QHSE. In the field of repowering or in the optimization of cost cutting and yield increase potentials in the wind farms as well, wpd windmanager has long years of experience. For some 20 years now, funds companies, national and international investors’ groups as well as institutional investors call on the know-how from Bremen. Besides Germany, wpd windmanager is also operating in Belgium, Finland, France, Croatia, Poland, Canada and Taiwan.